Kids will feel like they're really going places with these 4-in-a-box cardboard floor puzzles! 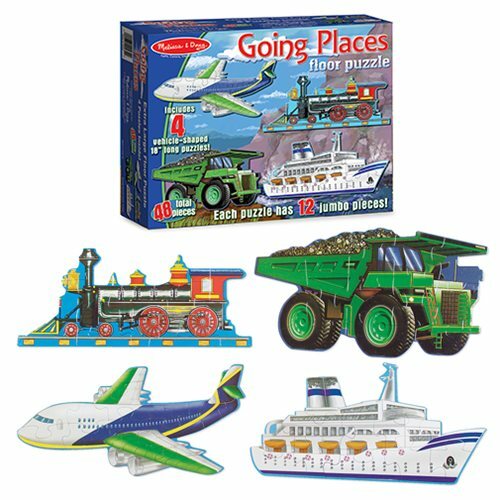 Assemble a jet plane, a locomotive, a dump truck and a cruise ship. Each vehicle-shaped puzzle is 18-inches long and the 48 extra-thick pieces are 20% thicker than the competition's. Its easy-clean surface keeps puzzle looking new.